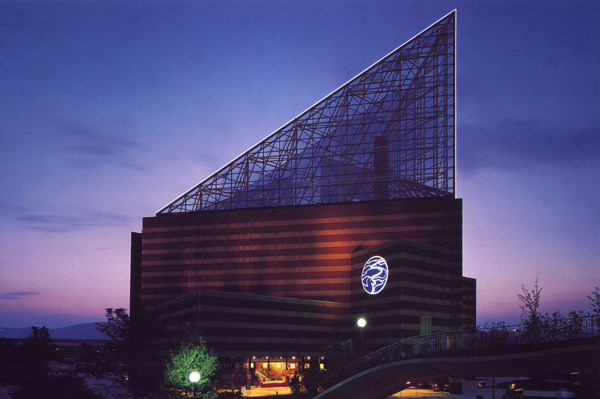 The National Aquarium in Baltimore, 1981. 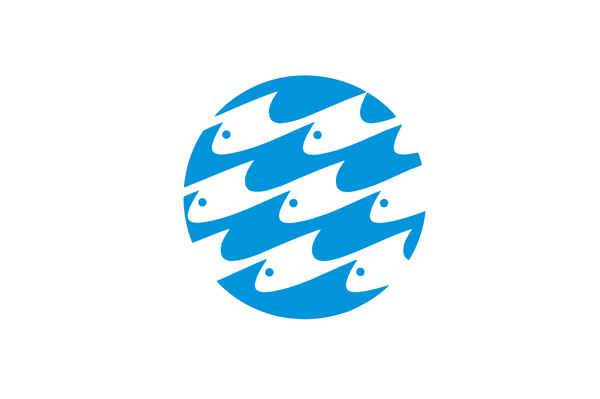 This famous aquarium was originally conceived to focus on both water and fish. 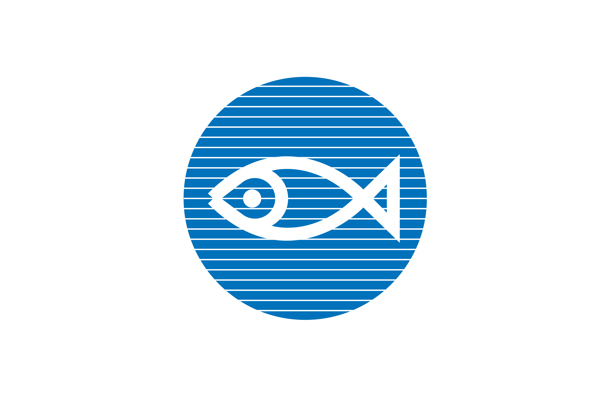 The symbol combines these two elements in a dynamic relationship. 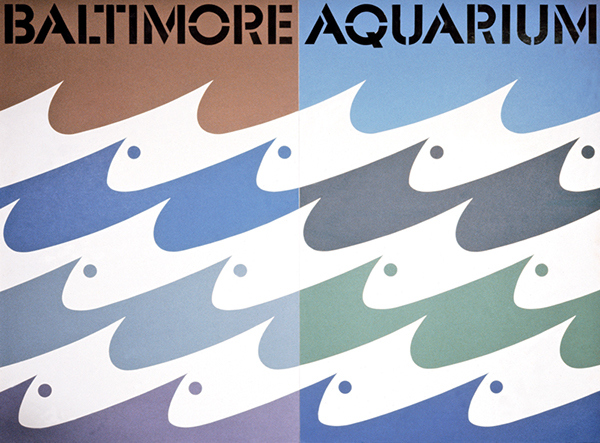 This popular Boston attraction is considered one of the first modern aquariums. 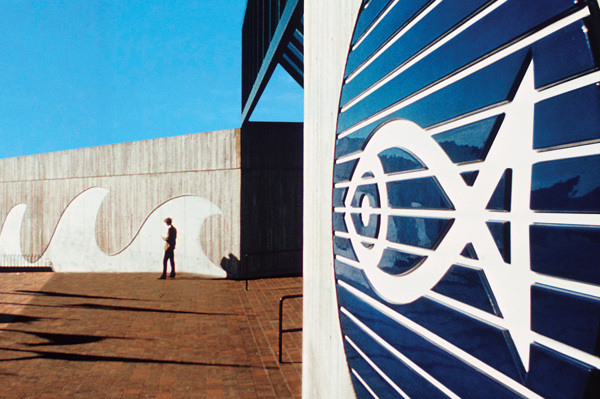 The symbol simply reflects the mission "to present, promote and protect the world of water." 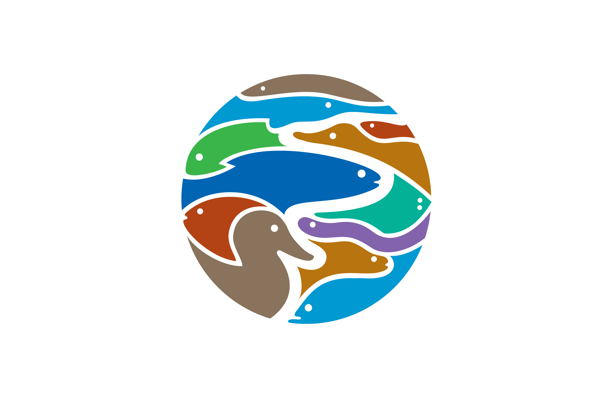 This aquarium is focussed on the abundant freshwater fish, bird, and animal life of Tennessee's rivers and their tributaries. 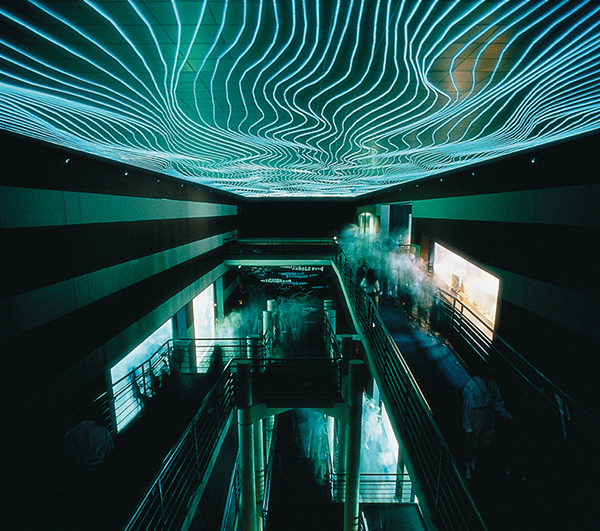 For the interior ceiling, an undulating pattern of continually flowing light lets visitors feel as though they are underwater themselves. 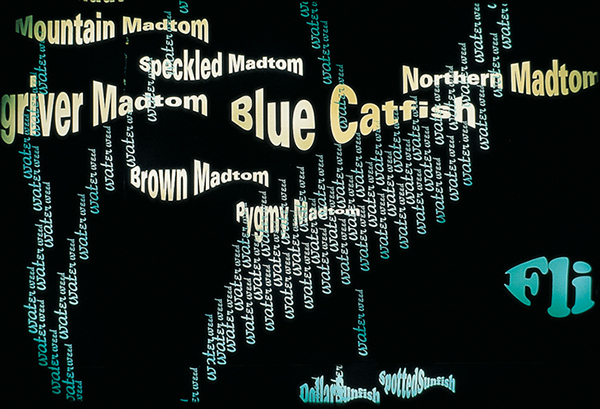 Sixty-foot high typographic walls spell out the names of the vast variety of indigenous fish (detail shown).